Former Prime Minister says right-wing leadership leading country towards one-state with Arab majority, must be dislodged from power. Former Prime Minister Ehud Barak criticized the government and leadership of Prime Minister Binyamin Netanyahu, saying that they are harming Israel's national security. "Their desire to continue to lead their agenda reflects their fanaticism and their blind hatred." Barak said at a conference for Labor party activists held at the Council for a beautiful Israel in Tel Aviv. "The Netanyahu-Bennett government harms Israel's security. We have a weak, crybaby government which is paralyzed." Barak's address was his first meeting with Labor party activists since he split from the party to establish the Independence party five years ago. However, Barak stated that he had no intention to run for Prime Minister again, "or for the leadership of this party (Labor)." 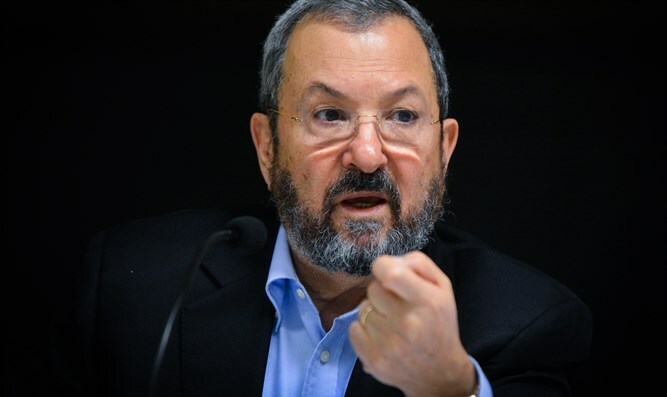 Barak addressed the political-security subsystem of the right in Israel. "The rightists have no answer for how to get out of the situation with the Palestinians...Divorce is painful, too, but sometimes it has to be done. This is the only way." "Separation from the Palestinians is not for them. It is necessary in order to continue the Zionist dream." he added. 'If the State of Israel will rule over five million Palestinians it will inevitably become undemocratic." Barak said of the consequences of annexing Judea and Samaria. "The real agenda beneath the surface is a single state with an Arab majority, Apartheid, and civil war. This is a threat to Zionism." Barak also criticized the conduct of the Labor party and called for a national accounting. "I feel at home here, even though I was last here many years ago...[but] a party that wishes to lead the country must be broader and be included in the main arguments and controversies."